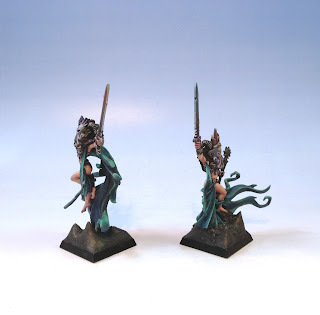 I've added a couple new figs to the Chthonic Daemons since the big army post. 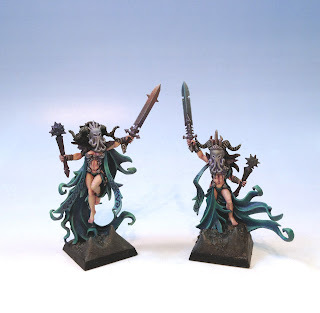 I use these two models as Tzeentch Heralds in my (also new) Tzeentch horror unit. Expect some pics of horrors soon. You can see from the reflection on red sword's cloak here that they also received the pearl spray treatment. These figures are from the awesome WarGods range. They are WarGods of Hyperborea Ice Witches with a little conversion work. The masks were made using a green stuff press mold from the Lokhir Fellheart dark elf model. 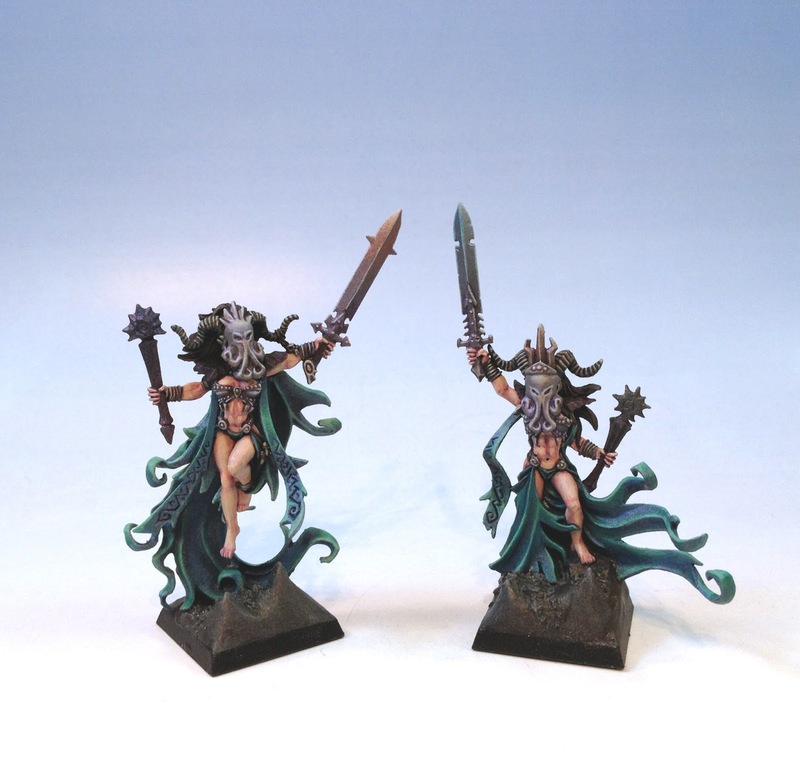 The only other conversion are the swords, which come from the plastic Chaos Warrior kit. 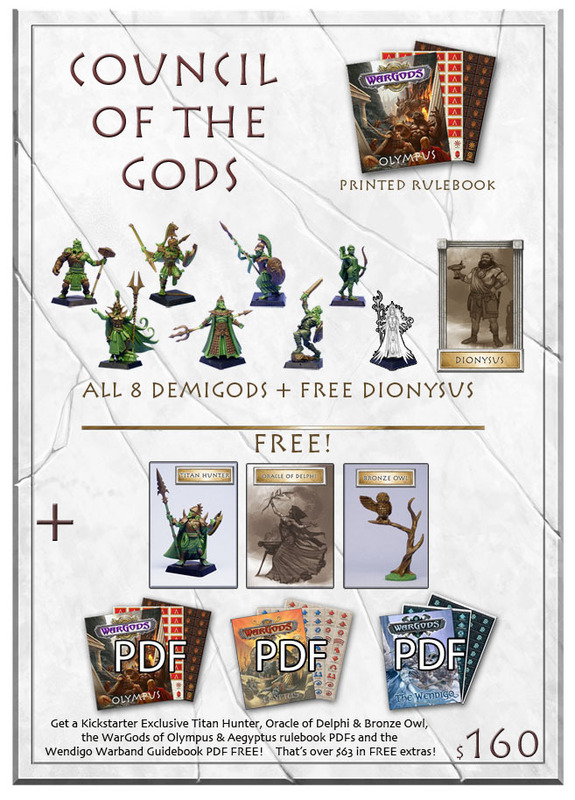 Speaking of WarGods, there is currently a WarGods of Olympus Kickstarter going on, which ends this Sunday, June 30th. I recommend checking it out. I got in on it as there are a ton of awesome figs available! 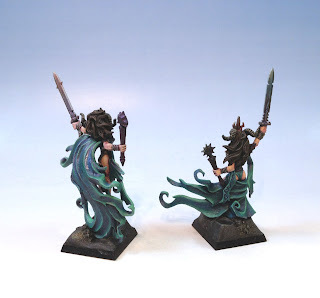 These look spectacular, great conversion work and wonderful painting! Very nice additions Joe, they will be a nice contrast/compliment to the rest of the army.